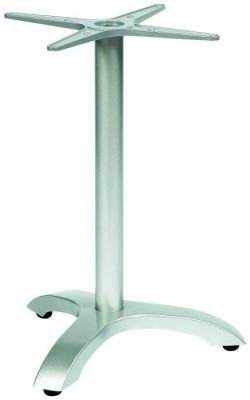 Aluminium outdoor table bases in a modern design matt Chrome finish suitable for use with table tops round or square and available from stock for a free and fast delivery. Mistral aluminium café table bases are available in a modern, contemporary finish and suitable for commercial use. Minimum order of 4.